FIND & FOLLOW YOUR PASSION. Easier said than done, but Elle Luna’s book makes our lives a tad bit easier. 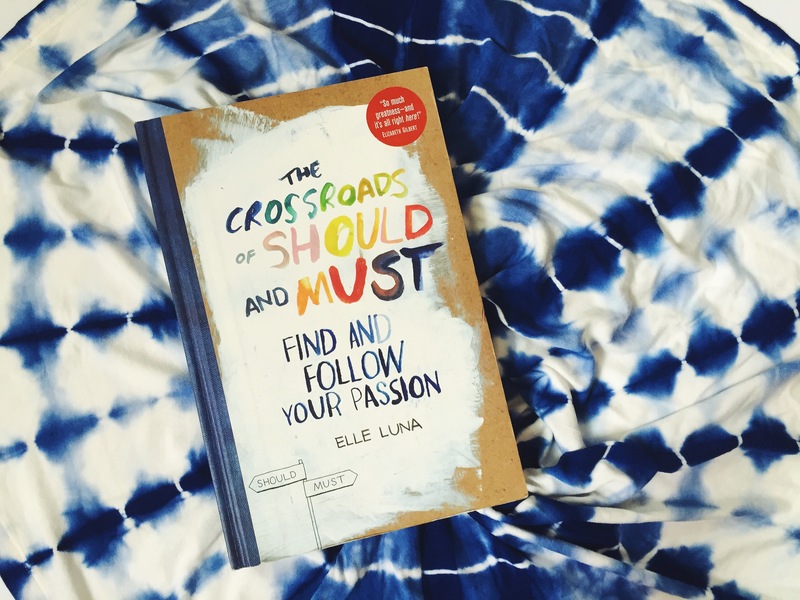 Elle Luna’s “The Crossroads of Should and Must” has been my favorite self-help book for a while now, and I’ve really been wanting to write about how its changed my life and the way I work. Today felt like a good day to feature it given this was the first day of school (hello, Ateneans) that I was not in school because I’m an alumna now. After my own experience of floating and exploring that we call funemployment, the fun caught up with me. I knew there were things I wanted to keep on learning for life but at the time I had no idea how to do just that. However, reading this book at that time in my life taught me to trust my inner compass and embrace the uncertainty of life. 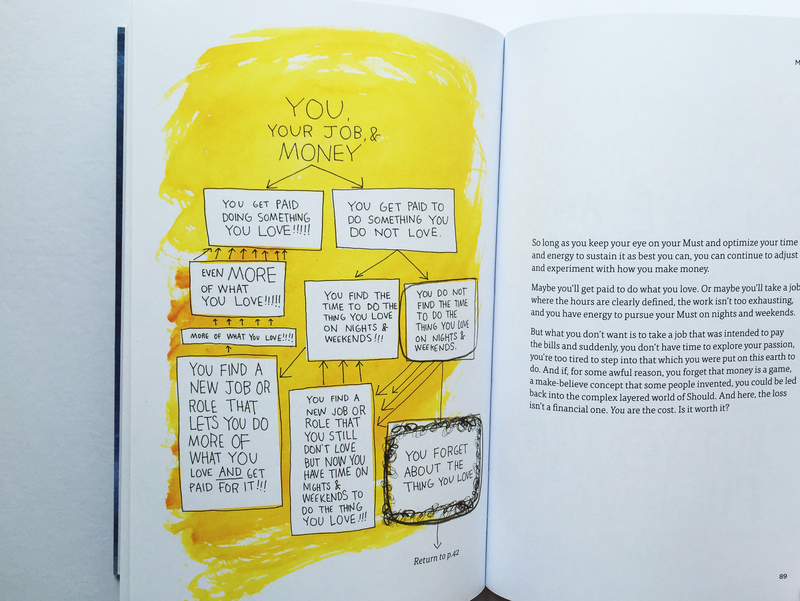 If this sounds like you right now, I have high hopes that this book can do the same for you. Elle Luna starts off with her own story in discovering the difference between “Should” and “Must.” From what I learned from her, Should is what others have always told us we should do, what we ought to do. It can come in several forms starting from childhood, but when a Should is so ingrained in us, we end up living lives we thought we wanted only to realize that we’ve been living somebody else’s dream. On the other hand, “Must” is what Luna describes as “who we are, what we believe, and what we do when we are alone with our truest, most authentic self.” Must is the essence of purpose, the fullness of your potential. It’s what you are equipped to do in this world. Sound scary? You bet it is—at first, at least. But while it’s the most terrifying thing you can do, it’s also in choosing must that we’re set free. BE YOUR OWN PERSON. 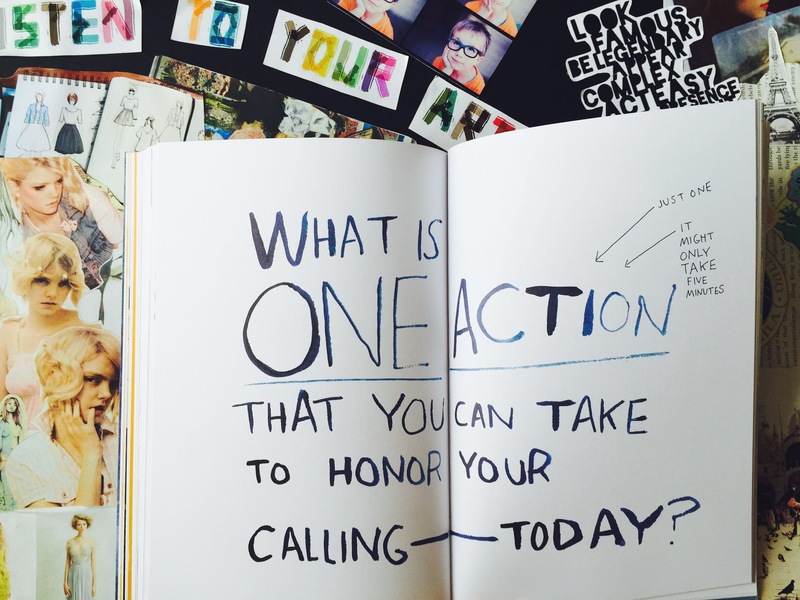 What if who we are and what we do everyday were completely in agreement with each other? In figuring out your “Must,” it’s also important to look at “Should.” Should’s clue us in on why we haven’t been pursuing our deepest desires. Maybe you know what you want to do in life, but feel that you can’t afford time and money to invest in your passion. Maybe you were never told that you were allowed to pursue your dreams. Maybe you fear that you don’t have a Must at all. These are all valid fears. Poverty, insecurity and feelings of lostness are realities we can’t ignore. But what’s great about Luna’s book is how she breaks down the process of finding your Must and confronts the pressures of choosing it, little by little. She doesn’t promise that it will be easy, only that it will be worth it. LET’S GET PRACTICAL. 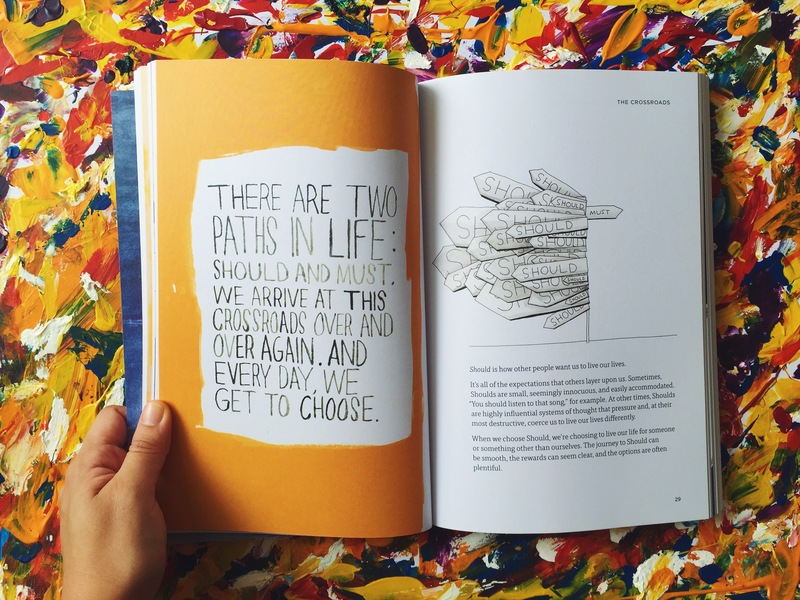 Luna writes about how to choose must in the face of money matters, lack of space and time. What’s more is that Luna asks the questions that matter: What’s holding you back from following your biggest dreams? What are the what if’s that keep you awake at night? How does your Must fit in with and help the rest of the world? She doesn’t fill in the answers to all these questions, and that’s because they are yours alone to answer. Instead, she gives you tools to help in your journey towards Must. One of my favorite takeaways from this book is the encouragement of doing one thing–even just ONE thing–every single day to honor your Must. It all starts with the first step. JUST DO IT. If you have no clue what your Must is, it’s never too late to find out! Go experiment today. Ultimately, the crossroads of Should and Must isn’t a one-time decision. It’s something we face everyday. And while this reality can be daunting, it’s liberating too. 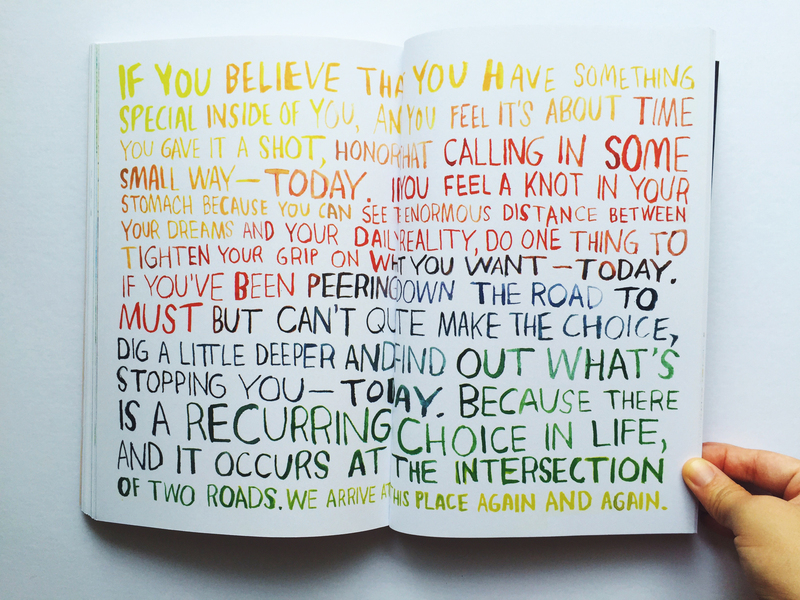 Every day, we get to choose how to forge our path towards our deepest dreams. Every day is a new chance and that’s the beauty of being alive. THE DAILY CROSSROADS. It’s about time to honor that “something special” that you can give to the world. And if today you fail, remember: tomorrow is a brand new day to start over. The choice is yours. 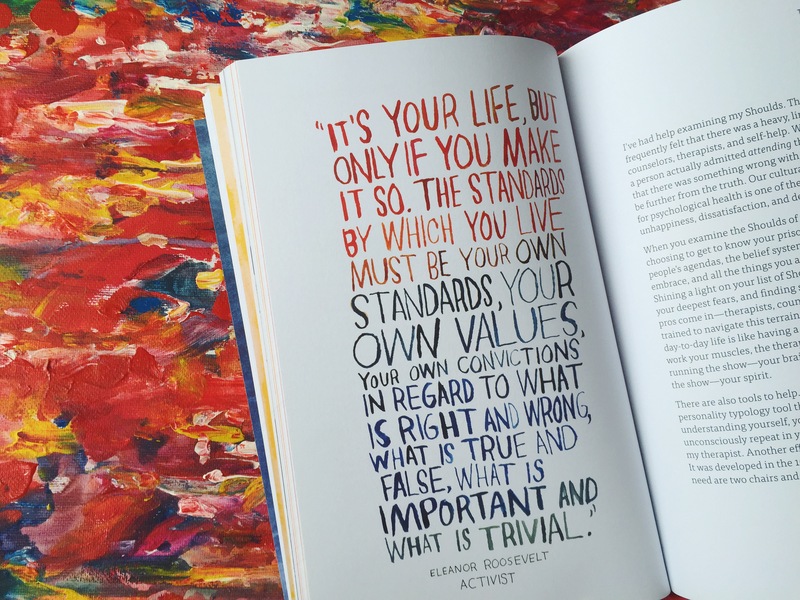 “The Crossroads of Should & Must” is available in bookstores near you. You can also check out Elle Luna’s original essay with the same title here, and her personal blog over here. She’s a pretty cool artist, designer and writer, choosing her Must every day.